This is my first book and it is a comprehensive how-to book that includes just about everything I have ever learned in this field, including how to communicate with nature. 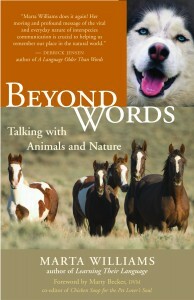 This is a book of stories, told to me by clients, students, friends, and colleagues, that I felt I had to share with you. 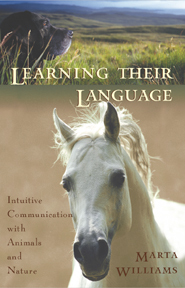 These stories offer, to my mind, strong evidence that intuitive communication is authentic. 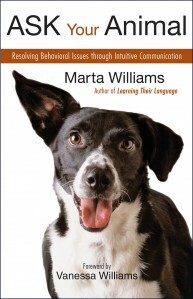 You will find this to be a practical guide to how to use intuitive communication to develop a better relationship with your animal, solve behavioral problems, work with animals in crisis, and much more. 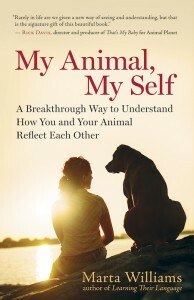 My latest book is an exploration of the hidden connections between ourselves and our animals and how we reflect each other.